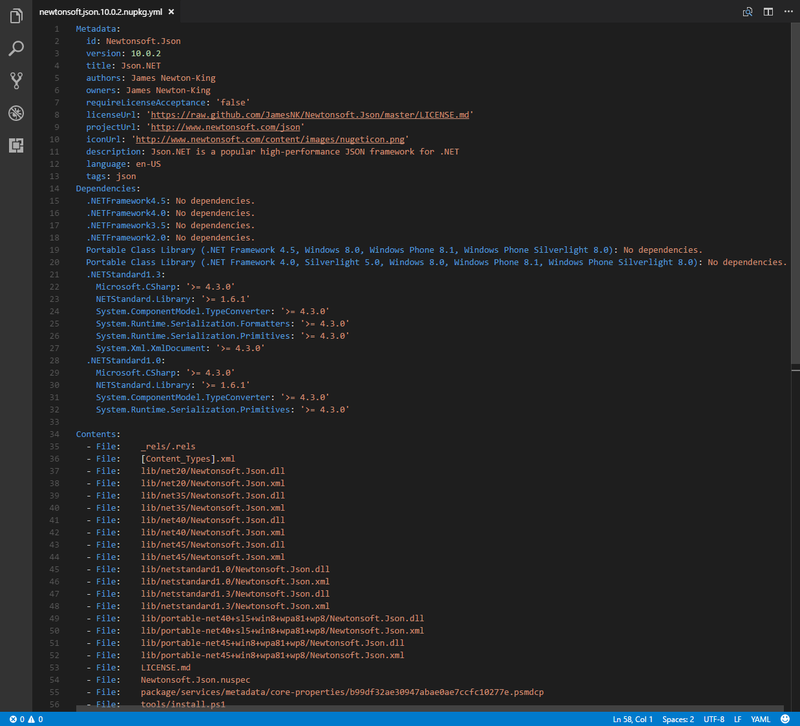 Visual Studio Code>Other>NuGet NuPkg ViewerNew to Visual Studio Code? Get it now. View the contents of your *.nupkg files directly from VSCode. It prints information about the package and dependencies. It prints information about the contents of the file. It creates a temporal YAML file for easy visualization. Check all the changes in the Changelog section.